Duke University researchers say that by measuring the activity of the amygdala, an almond-shaped part of the brain, it is possible to predict who will suffer from anxiety or depression in the face of stressful life events. Johnna Swartz, PhD, a postdoctoral researcher at the school, and colleagues scanned the brains of 753 healthy college students as they looked at angry or fearful faces. Pictures such as these normally activate the amygdala, and the intensity of that activation was measure using functional magnetic resonance imaging. Every three years after the initial scan, participants completed an online survey on stressful life events and their impacts, as well as a questionnaire designed to assess symptoms of anxiety or depression. Nearly 200 of the initial students completed the surveys and questionnaires for an average of two years, and as long as four years. 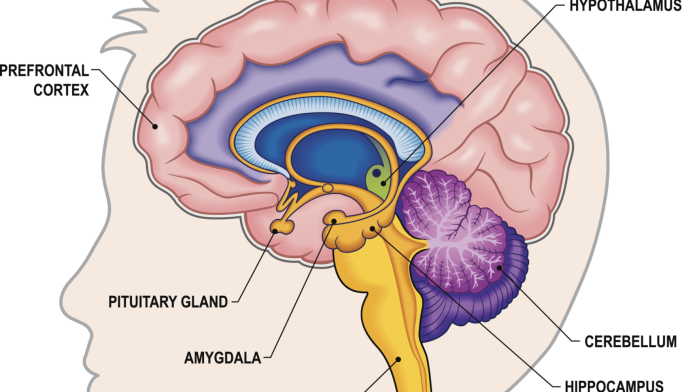 The more active the amygdala was when measured at the study outset, the more severe students anxiety and depression symptoms were in the face of stressful events, the researchers reported in the journal Neuron. However, students that had an overly active amygdala at the outset but did not experience stressful events did not show an increase in such symptoms. The researchers added that measuring amygdala activity can predict who will become depressed or anxious in response to stressful life events as far as four years ahead of time. “With a brain marker, we could potentially guide people to seek treatment earlier on, before the disorders become so life altering and disruptive that the person can’t go on.” Swartz said in a statement. A clue to this answer, according to a new Duke University study, is found in an almond-shaped structure deep within our brains: the amygdala. By measuring activity of this area, which is crucial for detecting and responding to danger, researchers say they can tell who will become depressed or anxious in response to stressful life events, as far as four years down the road.